Tech Series | Steven J. Barela, LL.M., Ph.D. This newly launched series examines the primary ethical, legal and public policy questions arising from or exacerbated by the design, development and eventual adoption of new technologies across all related fields—from education and engineering to medicine and military affairs. 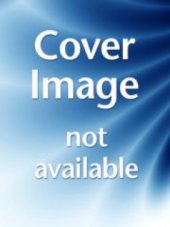 This series encourages submission of cutting-edge research monographs and edited collections with a particular focus on advanced ideas concerning the innovation of, or as yet undeveloped, technologies. Whilst there is an expectation that authors will be well grounded in philosophy, law or political science, consideration will be given to works that carefully cross these disciplinary boundaries with an eye on the appropriate integration. The multi- and inter-disciplinary backgrounds of the series editorial team offers a proper examination of works that separately treat, or traverse, the ‘ethical, legal and social’ implications of emerging technologies. For more information on how to submit a book proposal to the series, please contact me. 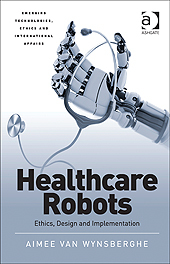 This study deals with an underexplored area of the emerging technologies debate: robotics in the healthcare setting. The author explores the role of care and develops a value-sensitive ethical framework for the eventual employment of care robots. Highlighting the range of positive and negative aspects associated with the initiative to design and use care robots, it draws out essential content as a guide to future design both reinforcing this study’s contemporary relevance, and giving weight to its prescriptions. The book speaks to, and is meant to be read by, a range of disciplines from science and engineering to philosophers and ethicists. Not since man set foot on the moon over four decades ago has there been such passion and excitement about space exploration. This enthusiasm and eagerness has been spurred on by the fact that for the first time since the very beginning of the space age, space travel is no longer limited to an elite group of highly trained and well-disciplined military officers and test pilots. Instead, we must understand that the possibility of commercial space travel is already on our horizon and that it comes with a number of significant practical and moral challenges. 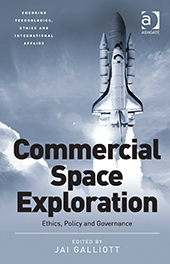 This volume provides the first comprehensive and unifying analysis concerning the rise of private space exploration, with a view toward developing policy that may influence real-world decision making. Unmanned combat air vehicles, or in common parlance “drones”, have become a prominent instrument in US efforts to counter an objective (and subjective) cross-border terrorist threat with lethal force. As a result, critical questions abound on the legitimacy of their use. 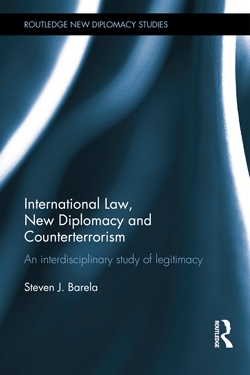 In a series of multidisciplinary essays by scholars with an extensive knowledge of international norms, this book explores the question of legitimacy through the conceptual lenses of legality, morality and efficacy; it then closes with the consideration of a policy proposal aimed at incorporating all three indispensable elements. The Spartan City State produced what is probably one of the most iconic and ruthless military forces in recorded history. They believed that military training and education began at birth. Post-World War II saw a shift to army tanks, fighter jets and missiles that would go on to fight the next huge battle in Northern Europe. Today, with the advent of unmanned systems, our hopes are attached to the idea that we can fight our battles with soldiers pressing buttons in distant command centres. 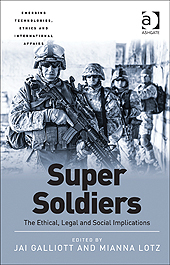 However, soldiers must now be highly trained, super strong and have the intelligence and mental capacity to handle the highly complex and dynamic military operating environment. It is only now as we progress into the twenty-first century that we are getting closer to realising the Spartan ideal and creating a soldier that can endure more than ever before. Social robotics is a cutting edge research area gathering researchers and stakeholders from various disciplines and organizations. The transformational potential that these machines, in the form of, for example, caregiving, entertainment or partner robots, pose to our societies and to us as individuals seems to be limited by our technical limitations and phantasy alone. 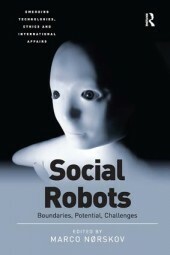 This collection contributes to the field of social robotics by exploring its boundaries from a philosophically informed standpoint. It constructively outlines central potentials and challenges and thereby also provides a stable fundament for further research of empirical, qualitative or methodological nature. Explosive Ordnance Disposal (EOD) personnel are some of the most highly trained people in the military, with a job description that spans defusing unexploded ordnance to protecting VIP’s and state dignitaries. EOD are also one of the first military groups to work with robots every day. These robots have become an increasingly important tool in EOD work, enabling people to work at safer distances in many dangerous situations. Based on exploratory research investigating interactions between EOD personnel and the robots they use, this study richly describes the nuances of these reciprocal influences, especially those related to operator emotion associated with the robots. In particular, this book examines the activities, processes and contexts that influence or constrain everyday EOD human-robot interactions, what human factors are shaping the (robotic) technology and how people and culture are being changed by using it. The findings from this research have implications for future personnel training, and the refinement of robot design considerations for many fields that rely on critical small group communication and decision-making skills. How does the use of military drones affect the legal, political, and moral responsibility of different actors involved in their deployment and design? 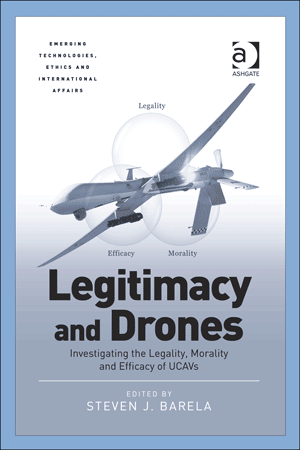 This volume offers a fresh contribution to the ethics of drone warfare by providing a systematic interdisciplinary discussion of different responsibility issues raised by military drones. 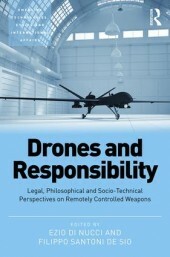 The book discusses four main sets of questions: First, from a legal point of view, we analyse the ways in which the use of drones makes the attribution of criminal responsibility to individuals for war crimes more complicated and what adjustments may be required in international criminal law and in military practices to avoid ‘responsibility gaps’ in warfare. From a moral and political perspective, the volume looks at the conditions under which the use of military drones by states is impermissible, permissible, or even obligatory and what the responsibilities of a state in the use of drones towards both its citizens and potential targets are. From a socio-technical perspective, what kind of new human machine interaction might (and should) drones bring and which new kinds of shared agency and responsibility? 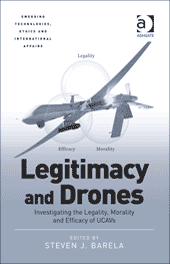 Finally, we ask how the use of drones changes our conception of agency and responsibility. From birth to adulthood, children now find themselves navigating a network of surveillance devices that attempt to identify, quantify, sort and track their thoughts, movements and actions. This book is the first collection to focus exclusively on technological surveillance and young people. Organised around three key spheres of children’s day-to-day life: schooling, the self and social lives, this book chronicles the increasing surveillance that children, of all ages, are subject to. Numerous surveillance apparatus and tools are examined, including, but not limited to: mobile phones, surveillance cameras, online monitoring, GPS and RFID tracking and big data analytics. In addition to chronicling the steady rise of such surveillance practices, the chapters in this volume identify and problematise the consequences of technological surveillance from a range of multidisciplinary perspectives. Bringing together leading scholars working across diverse fields – including sociology, education, health, criminology,　anthropology, philosophy, media and information technology – the collection highlights the significant socio-political and ethical implications of technological surveillance throughout childhood and youth. Krishnan describes military applications of neuroscience research and emerging neurotechnology with relevance to the conduct of armed conflict and law enforcement. This work builds upon literature by scholars such as Moreno and Giordano and fills an existing gap, not only in terms of reviewing available and future neurotechnologies and relevant applications, but by discussing how the military pursuit of these technologies fits into the overall strategic context. The first to sketch future neurowarfare by looking at its potentials as well as its inherent limitations, this book’s main theme is how military neuroscience will enhance and possibly transform both classical psychological operations and cyber warfare. Its core argument is that nonlethal strategies and tactics could become central to warfare in the first half of the twenty-first century. This creates both humanitarian opportunities in making war less bloody and burdensome as well as some unprecedented threats and dangers in terms of preserving freedom of thought and will in a coming age where minds can be manipulated with great precision. Can security automata (robots and AIs) make moral decisions to apply force on humans correctly? If they can make such decisions, ought they be used to do so? 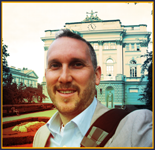 Will security automata increase or decrease aggregate risk to humans? What regulation is appropriate? Addressing these important issues this book examines the political and technical challenges of the robotic use of force. The book presents accessible practical examples of the ‘machine ethics’ technology likely to be installed in military and police robots and also in civilian robots with everyday security functions such as childcare. 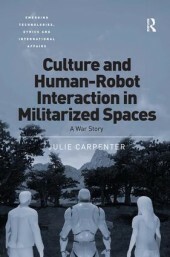 By examining how machines can pass ‘reasonable person’ tests to demonstrate measurable levels of moral competence and display the ability to determine the ‘spirit’ as well as the ‘letter of the law’, the author builds upon existing research to define conditions under which robotic force can and ought to be used to enhance human security. 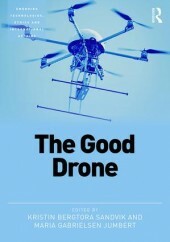 The scope of the book is thus far broader than ‘shoot to kill’ decisions by autonomous weapons, and should attract readers from the fields of ethics, politics, and legal, military and international affairs. Researchers in artificial intelligence and robotics will also find it useful. The development and introduction of a new technology to society can be viewed as an experimental process, full of uncertainties, which are only gradually reduced as the technology is employed. Unexpected developments may trigger an experimental process in which society must find new ways to deal with the uncertainties posed. This book explores how the experimental perspective determines what ethical issues new technologies raise and how it helps morally evaluate their introduction. Expert contributors highlight the uncertainties that accompany the process, identify the social and ethical challenges they give rise to, and propose strategies to manage them. Focusing on the introduction of new technologies and experimentation as ways to perceive new developments and changing contexts, a key theme of the book is how to approach the moral issues raised by new technology and understand the role of experimentation in exploring these matters.